Google gave us a hardware blitzkrieg at CES. Among other things, the company announced a new smart display category, aimed at taking on the Echo Show through sheer, brute force. The new Show Mode Dock isn’t a direct response, but it’s a clever one. 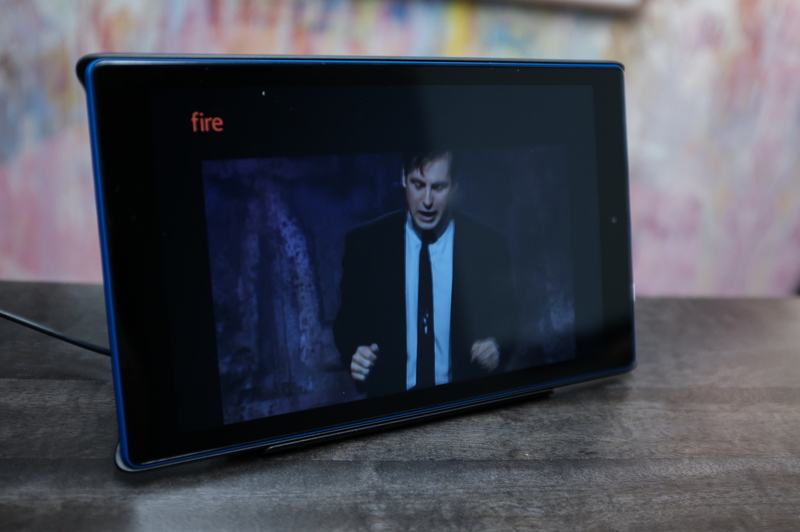 Two years ago, Amazon introduced Alexa for the Fire tablet line. Last year, the feature went hands-free. In June, all of those additions finally paid off with the addition of Show Mode for the Fire HD 8 and 10, along with the dock, which effectively turns the tablets into an Echo Show. It’s a perfect bit of stream-crossing synergy for the company. When I met with Amazon prior to release, I asked if the company was afraid of cannibalizing the Show. They seemed unconcerned. Not surprising, really. Hardware has always been secondary to its strategy. The more Alexa devices in the world, the better. That’s really the bottom line here. For consumers, the form factor makes sense. You can pick up the 8- and 10-inch bundle for $110 and $190, respectively, putting it considerably below the Show’s $230 MSRP (though Amazon sale prices do tend to fluctuate a fair bit). That cost is getting you not only a smart display, but a Fire tablet that can be unhooked and used in all of the standard tablet ways. In fact, the more I talk about it, the less compelling the Show becomes. It was never a particularly attractive piece of hardware for one that’s meant to be displayed in your home at all times. In fact, it’s got a bit of an unintentional retro RadioShack vibe. It’s also unnecessarily big and bulky — that’s part of what made the much smaller Spot that much more appealing. Given the new product category and some of the deep discounts it’s been getting in recent months, I wouldn’t be too surprised to see a new Show on the way in the not so distant future. In the meantime, however, the device does have a few things going for it versus the tablet/dock combo. Chief among them are better mics and speakers. Of course, you can always connect the tablet to a Bluetooth speaker (through the app, not over voice yet) to address the latter issue. 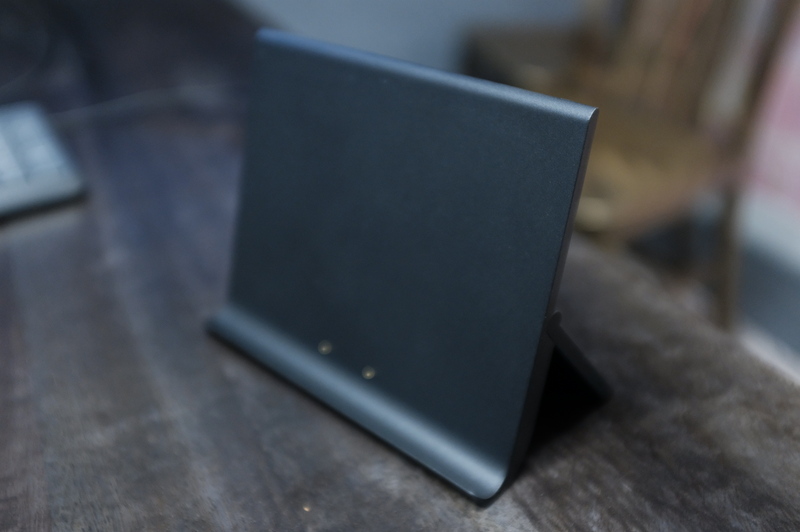 But for now, if you’re looking for a screen-enabled device that can also double as a small entertainment hub, the Show is probably still a better bet. It’s worth pointing out, too, that neither the Fire Tablet nor the dock are what anyone would classify as premium devices. Amazon’s efforts to compete on the high end of the tablet market evaporated years ago. The new Fires have decent screens, but otherwise mostly fit the bill of content delivery devices. It’s a strategy that has worked quite well for Amazon, as much of the rest of the tablet category has dried up. There isn’t a lot to the dock itself. It’s a small bit of plastic with a kickstand that swivels out. 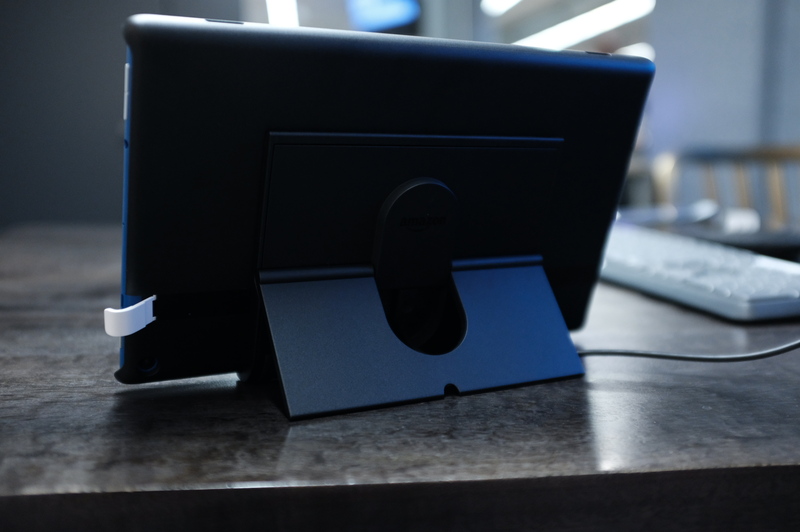 There’s a plastic tablet case with two metal pads on the back that snap onto the dock with magnets. 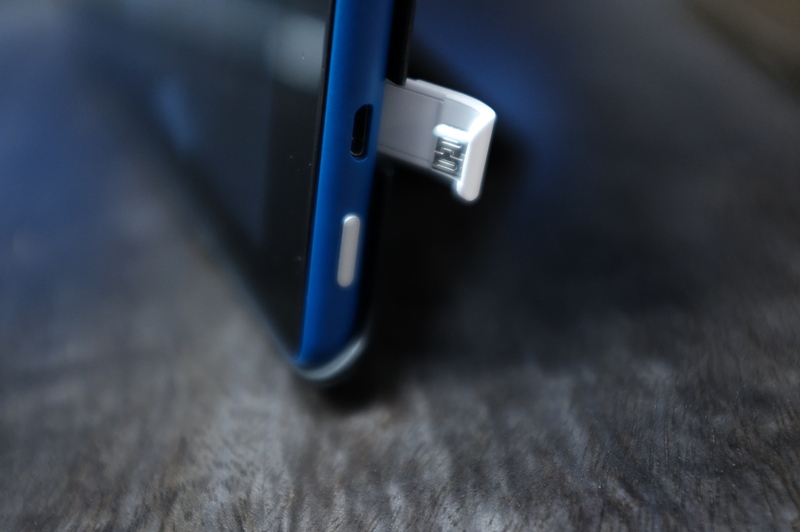 A small micro-USB module plugs into the tablet’s port, connecting the two, for data transfer and power, so it can charge while docked. The key to the whole thing is the addition of Show Mode to the tablet, bringing the same UI you get on the smart display. You can enable it manually on the device by swiping down on the home menu (strangely, this doesn’t seem to be enabled through voice yet). The Mode does away with all of the details of the standard Fire OS, instead defaulting to a large, card-based system. The Mode is also enabled when the tablet is docked. When you remove it, it reverts back to the standard tablet. Simple. It all works as advertised. Though again, the speakers aren’t great, and it’s not as good at picking up sounds across the room. Although $40 and $55 for the 8- and 10-inch dock, respectively, is a bit steep, taken together, it’s ultimately a better deal than the Show — and either way, you’re getting a screen larger than the smart display’s 7-inch. The Show Mode Dock/Fire Tablet combo is really just the all-around better deal. It also starts shipping next week — no word yet on when those Google displays are finally arriving.